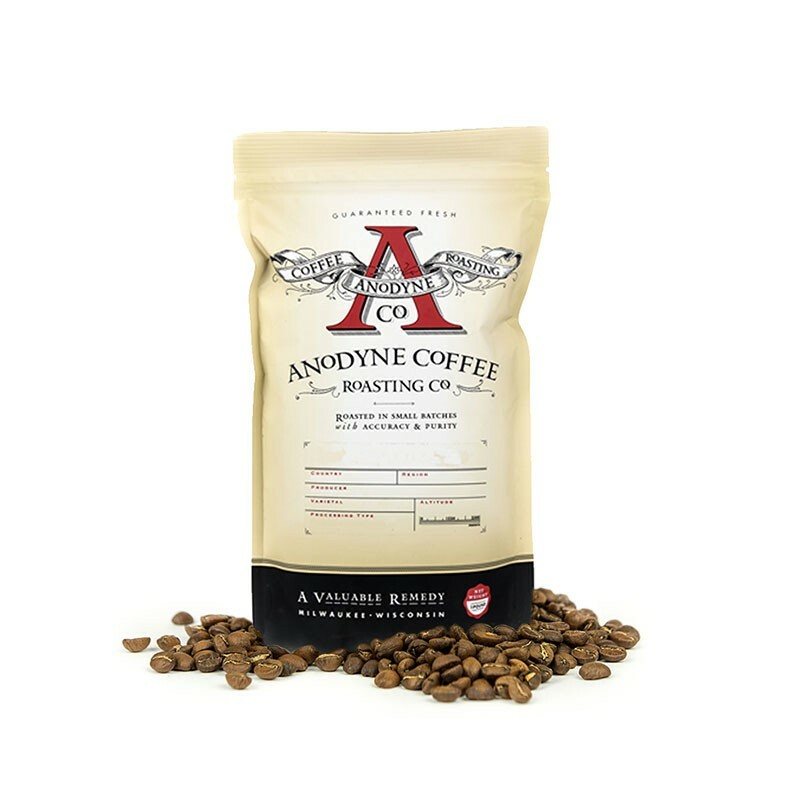 This is the Decaf Natural Process Mexico brought to you by Anodyne Coffee Roasting Co. Unlike typical decaf, this coffee is processed without chemicals. The coffee is decaffeinated by using a special component found in fermented sugar cane. No chemicals are used here, just an amazing cup of decaf coffee, the way it should be. This coffee was grown in the Veracruz region of Mexico. This cup is fantastically delicate, with notes of nuts and citrus. This coffee tasted flat and acidic, and a bit too citrusy for my taste . I ground enough for 3 mugs but will not finish any more of the bag. I didn't really like this one. Too nutty for me. I prefer more of a chocolate or caramel tone. I prefer a darker roast, but it does have some interesting flavors. A bit too thin and light for my liking. The body is light and lively with a cocoa note but ends much too acidic to drink black, which is my preferred method. I do love the idea of sugarcane decaffinating but unfortunately not my cup. After drinking several cups of this decaf, it has really grown on me to be one of the best decafs I've had. Not my favorite. The fermented sugar cane decaffeination process seems to add a very distinct flavor that isn't particularly pleasant. With a sample size of one, this is far from scientific, but I prefer all SWP coffees I've had before to this one. I thought this coffee was great. Rich aroma and bold taste. I would buy this coffee again. Close to the best decaf I have ever had.